Campbell Hausfeld is recalling about 233,000 air compressors. Protective covers on the compressor's motor are not made from proper flame retardant material and can ignite, posing a fire hazard to consumers. The firm has received 11 reports of fires. No injuries have been reported. The model and serial number are located on the back of the tank. The units, made in China, were sold at home improvement and hardware stores nationwide from September 2005 through November 2007 for between $170 and $200. 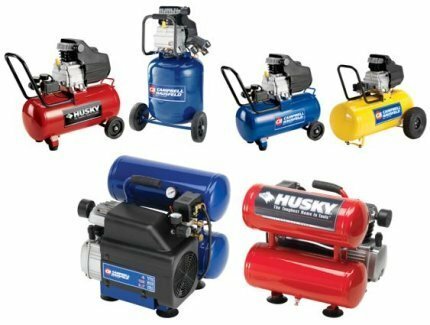 Consumers should stop using the air compressor immediately and contact Campbell Hausfeld for a free repair kit. Consumer Contact: For further information, contact Campbell Hausfeld at (800) 241-0448 between 8 a.m. to 5 p.m. ET Monday through Friday, or visit the firm's Web site at www.chpower.com. Nordstrom is recalling about 2,500 'At Home' Taper and Votive Candles. The candle's exterior coating can ignite, posing a fire hazard. Nordstrom has received four reports of flames or smoke coming from the candle or the exterior coating. One instance of property damage was reported but no injuries have been reported. This recall involves Nordstrom 'At Home' 10-inch taper candles and Nordstrom 'At Home' votive candles. The taper candles were sold under style numbers NR-07059G and NR-07059S. The votive candles were sold under style numbers NR-07001G and NR-07001S. 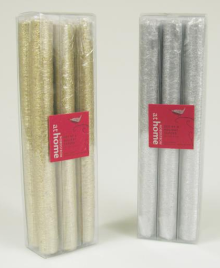 The candles came in silver and gold and were sold in a box of six. The style number can be found on a sticker at the bottom of the packaging. They were made in Taiwan. The candles were sold at Nordstrom stores nationwide from September 2007 through December 2007 for about $18 for the taper candles and about $12 for the votive candles. Consumers should stop using these candles immediately and return them to any Nordstrom store for a full refund. Consumer Contact: For additional information, contact Nordstrom at (800) 804-0806, 24 hours per day, visit the company's Web site at www.nordstrom.com. Concern about possible botulism poisoning has prompted New Era Canning Company, New Era, Mich., to expand its product recall to all canned green beans and garbanzo beans distributed by the company nationwide over the last five years. Clostridium botulinum, also called C. botulinum, can cause botulism, a serious and sometimes life-threatening condition. The affected cans are large institutional-sized containers, weighing approximately six and a half pounds. The Food and Drug Administration initiated the inspection at New Era, along with inspections of other low-acid canned food (LACF) manufacturers, following four cases of botulism in consumers who had eaten canned hot dog chili sauce in the summer of 2007. Symptoms of botulism poisoning in can begin from 6 hours to 2 weeks after eating food that contains the toxin. Symptoms may include double vision, blurred vision, drooping eyelids, slurred speech, difficulty swallowing, and muscle weakness that moves progressively down the body, affecting the shoulders first, then descending to the upper arms, lower arms, thighs, and calves. Botulism poisoning also can cause paralysis of the breathing muscles, which can result in death unless assistance with breathing through mechanical ventilation is provided. Individuals who have these symptoms and who may have recently eaten the products under recall or other food products made with them should seek immediate medical attention. To date, no illnesses have been reported to the FDA; however, consumers should not eat these products, even if they appear to be normal, because of the potential serious risk to health. Consumers who have the affected products or who have used them in recipes should immediately throw the cans and food away. New Era is taking immediate action to retrieve all inventories of the products throughout the distribution chain, including consumers' homes, nursing homes, schools, warehouses, restaurants, retail stores, health care facilities, and other facilities. New Era produces canned products under other brand names and labels. Therefore, the recalled products may not necessarily be labeled with New Era's name. Also, the cans may bear a variety of product codes or no codes at all. Regardless of brand name or label, or the presence or absence of a code, the recalled cans should not be opened or used, and should be disposed of as described below. Consumers who are not sure if a product is subject to the recall should still throw it out as a precaution. Any food that may contain the recalled canned beans should be disposed of carefully. Even tiny amounts of the C. botulinum toxin can cause serious illness when ingested, inhaled, or absorbed through the eye or a break in the skin. Skin contact should be avoided as much as possible, and hands should be washed immediately after handling the food. When disposing of these products, double-bag the cans in plastic bags. Make sure the bags are tightly closed, then place in a trash receptacle for non-recyclable trash outside of the home. Restaurants and institutions should ensure that such products are only placed in locked receptacles that are not accessible to the public. Anyone with questions may call FDA at 1-888-SAFEFOOD. Stamina Products is recalling about 2,000 inversion therapy tables. A weld in the center of the inversion table can fail when the table is in an inverted position, posing a fall hazard to consumers. Stamina Products has received three reports of weld failures. No injuries have been reported. This exercise equipment allows consumers to fasten to the table in an upright position and safely invert. The model and serial number are located on the black Stamina label found to the left of the rubber stopper on the cross bar. The tables were sold by retailers nationwide and online from October 2005 through October 2007 for between $160 and $300. They were made in China. Consumers should stop using the recalled inversion tables immediately and contact Stamina Products to have the table picked up and to receive a free replacement inversion table or a refund. About 5,400 John Deere compact utility tractors are being recalled. The forward drive pedal can get stuck, posing a risk of loss of control and injury to the operator and bystanders. Deere & Company has received seven reports of incidents. No injuries have been reported. The serial number plate is located on the tractor's frame above the right front wheel. The tractors were sold by John Deere dealers nationwide from September 2005 through December 2007 for about $15,500. They were manufactured in the United States. Consumers should stop using the recalled vehicles immediately and contact any John Deere dealer to schedule a free repair. Registered owners were sent direct mail notification of this recall. For additional information, contact Deere & Company at (800) 537-8233 between 8 a.m. and 6 p.m. ET Monday through Friday and between 9 a.m. and 3 p.m. ET Saturday, or visit the firm's Web site at www.johndeere.com. Kash N' Gold Ltd. is recalling about 60,000 Tinker Bell lamps. The surface paint on the lamps contains excessive levels of lead, violating the federal lead paint standard. 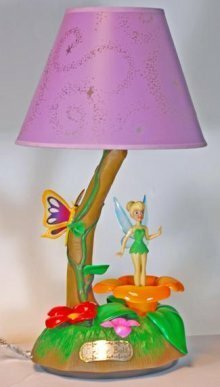 The recalled Tinker Bell lamp has 'Tinker Bell Lamp' printed on the bottom of the lamp. The lamp has a sculpted Tinker Bell in a flower garden with an animation of Tinker Bell swaying back and forth while music plays when the light switch or demo button is depressed. The lamps were sold at electronic and appliance retailers nationwide, including Lowe's from January 2007 through October 2007 for about $40. They were made in Hong Kong. Consumers should immediately stop using the recalled lamps and return them to the store where purchased for a refund or contact the firm to receive a Kash N' Gold merchandise credit. Consumer Contact: For additional information, contact Kash N' Gold at (800) 354-8785 between 9 a.m. and 5 p.m Monday through Friday or visit the firm's Web site at www.kngamerica.com. L G Sourcing is recalling about 90,000 torchiere lamps sold exclusively by Lowe's Stores. A short circuit in the lamps' wiring can pose a fire hazard to consumers. L G Sourcing has received two reports of lamp fires. No injuries have been reported. The recalled lamp has a black steel frame and a bowl-shaped light fixture. The item number 179878 is printed on the packaging and the bottom of the base of the lamp. Only lamps sold between March 2005 and October 2007 with UL listing number E246506 are included in the recall. Lamps marked 'ETL listed' are not included in the recall. The lamps, made in China, were sold at Lowe's retail stores nationwide from March 2005 through October 2007 for about $17. Consumers should immediately stop using the recalled lamps and return them to any Lowe's retail outlet to receive a refund. Consumer Contact: For additional information, contact L G Sourcing toll-free at (866) 916-7233 anytime or visit www.lowes.com. Safety Recalls a Sign of Success? It's a rare day in Washington that an agency head expresses pleasure with the press. So it was no surprise when the head of the nation's consumer safety agency chastised reporters for looking on the dark side of the recent spate of product recalls. Speaking at the National Press Club in Washington, Nancy Nord, acting chair of the Consumer Product Safety Commission (CPSC), said the press has treated product safety recalls as though they represented a failure instead of a success. Everytime there is a recall, it indicates the agency has done its job, Nord said. Nord also said she had an announcement to make. She said the agency is expanding its relationship with U. S. Customs through a new Import Surveillance Division. This will mark the first permanent, full-time presence of CPSC staff at key ports of entry throughout the U.S., Nord said. They will utilize both their expertise and a new cargo tracking system being implemented with Customs to stop and inspect suspect shipments. But whether the initiative is really all that new isn't certain. The agency began using the cargo tracking system a year ago, said CPSC spokesman Scott Wolfson and the agency has had a close relationship with Customs since its creation in 1974, said Rachel Weintraub, director of product safety at the nonprofit Consumer Federation of America. Nord would not say how much this new initiative will cost nor how many agency employees will be required to operate it. Nord also discussed legislation pending in Congress. Similar bills in the House and Senate would vastly increase her agency's staff, funding and regulatory authority. The House bill, which was passed unanimously just before the recess, contains fewer public disclosure requirements and sets a lower ceiling on fines that the CPSC can levy for safety violations than the Senate Bill, which has not yet been scheduled for a vote on the Senate floor. I was ... pleased by the way in which the House Energy and Commerce Committee went about crafting their legislation, with full bipartisan participation and support and with the input of the CPSC and consumer and industry groups alike, Nord said. Not everyone was 100 percent happy with the final product, but most seemed at least 80 percent happy. As for the Senate, Im not sure what to say other than the process used to develop the legislation was, simply put, a different one than that pursued in the House and the final product clearly shows that, Nord continued. While the Senate bill does contain some of the recommendations I made, it also contains some provisions that change our mandate in ways that may not be helpful," she said. The main clause of concern for Nord in the Senate version of the bill appears to be section 6(b) which will allow for much greater transparency in many of the agency's inner workings -- potentially revealing how many complaints a certain company has received and whether there is a pending investigation into a product or company. Currently, such information can be obtained only through a Freedom of Information Act request, a process that can take many months. Nord argued that 6(b) would overwork her agency. Industry lobbyists fear that it will subject their clients to unfair criticism. The National Highway Traffic Safety Administration (NHTSA), which in many ways is similar to CPSC, publishes all of its complaints on its website. However, it does not reveal whether an automobile or company is under investigation. Nord repeatedly hailed her agency's success in removing the coma-inducing Aqua Dots from the market and chastised the media for not congratulating the agency on its success. Not only did the media coverage not mention the lightning speed at which we acted in this case, but it also failed to mention that there was absolutely no way the CPSC could have anticipated or tested for this product defect at the ports, or anywhere else for that matter, until an incident had manifested itself, Nord said.  As Rep. Henry Waxman (D.-Calif.) pointed out, creates a new, unprecedented criminal immunity for corporations that merely comply with the law by reporting hazardous substances in products. In a press release, the National Association of Manufacturers said it supports a stronger CPSC but reject(s) provisions that would generate increased litigation rather than increased safety. Most notably, NAM opposes a provision which allows state attorneys general to sue manufacturers that produce dangerous products. During the markup debates, Dingell urged his colleagues not to vote for product-specific amendments because he wanted to keep the bill clean, improving its chances of passing. As a result strengthening amendments that would have given the agency authority over fixed thrill rides, pet toys and many others, were withdrawn. RSI Home Products is recalling nearly 9,000 medicine cabinets sold at Lowe's and The Home Depot. The medicine cabinet's mirrors can separate and break, posing a laceration hazard. RSI has received two reports of mirrors detaching and breaking. No injuries have been reported. 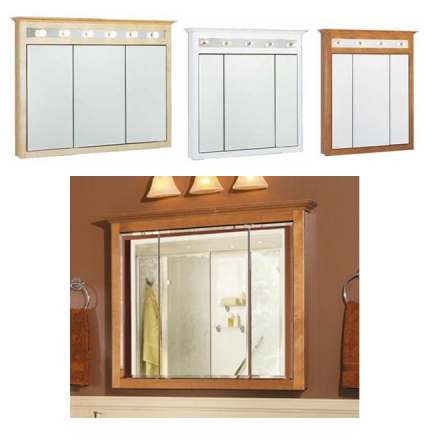 MasterBath cabinets with a wide variety of finishes and manufactured to consumer specifications provided through The Home Depot. The cabinets were sold at Lowe's Retail Outlet stores nationwide and at www.Lowes.com from August 2007 through October 2007 for between $140 and $220 (Estate by RSI ); Lowe's Retail Outlet stores nationwide during September 2007 for between $170 and $250 (Insignia ); The Home Depot Retail Outlet stores nationwide during September 2007 for between $160 and $360 (MasterBath). The cabinets were made in the United States. Consumers should immediately remove and safely dispose of the cabinet's mirrors. Consumers should contact RSI to receive free replacement mirrors. Consumer Contact: For additional information, contact RSI toll-free at (888) 774-8062 between 9 a.m. and 7 p.m. ET Monday through Friday, or visit the firm's Web sites at www.estatebath.com, www.insigniacabinets.com, www.masterbath.com.